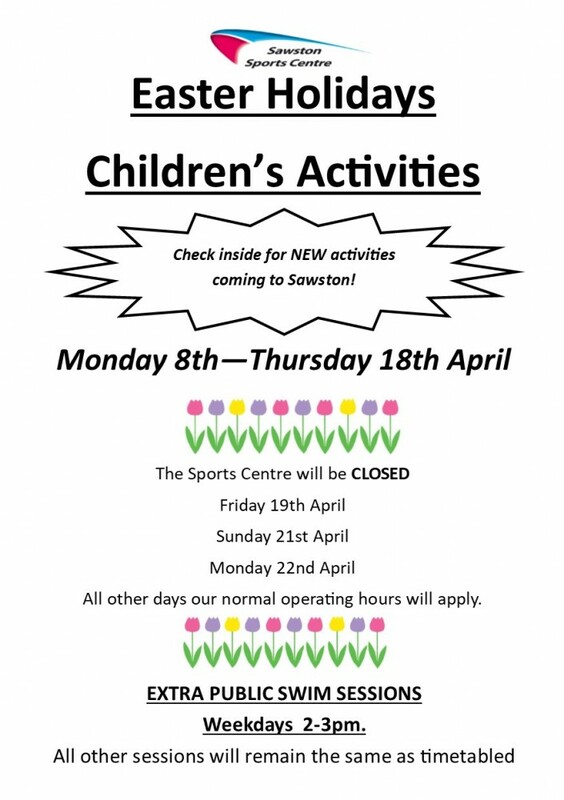 Sawston Sports Centre aims to provide an inclusive envrionment where the whole community has the opportunity to participate in a range of activities designed to promote health and well-being. We are open during term time and School holidays. THE CENTRE IS CLOSED BANK HOLIDAYS. 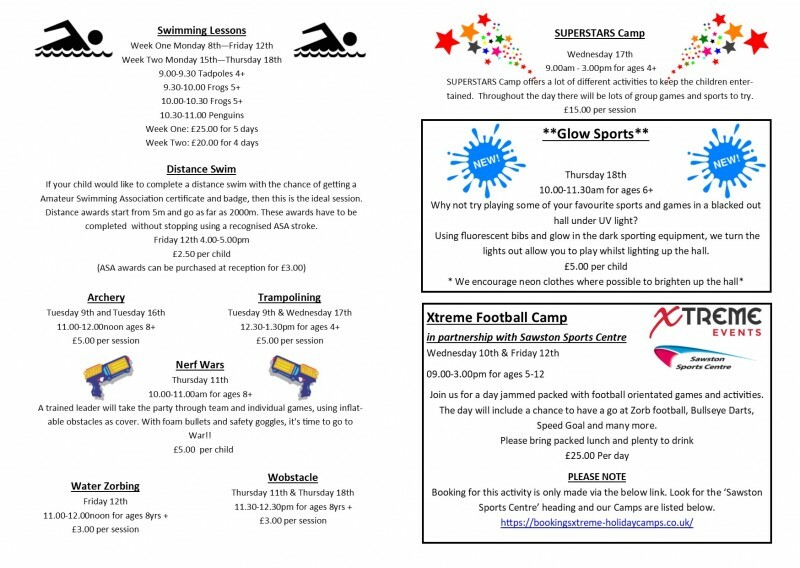 Please see the pool, fitness suite and class timetables for up-to-date times and classes. You can also follow us on Facebook (search for Sawston Sports Centre) and Twitter (@sawstonsports) for up-to-date information and offers. Tennis coaching is now available at the Centre! Sessions are run through Over and In, and are bookable through their website www.overandin.com. Sessions run on a Wednesday night, beginning from ages 8+. Adult lessons also available. 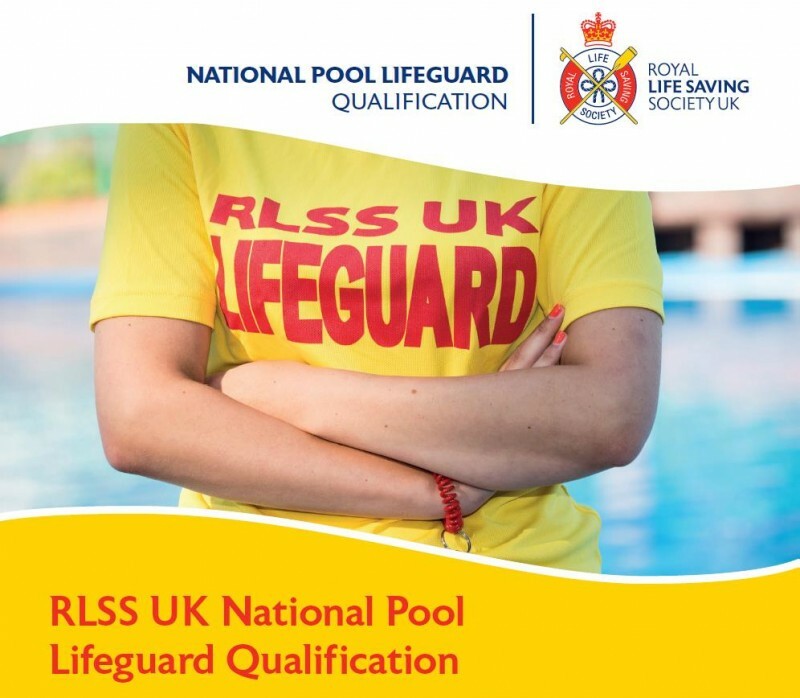 The 9 week course starts on 30th January. For more information, please contact Over and In on 0844 776 1763, or visit their website. Part time Duty Managers required! 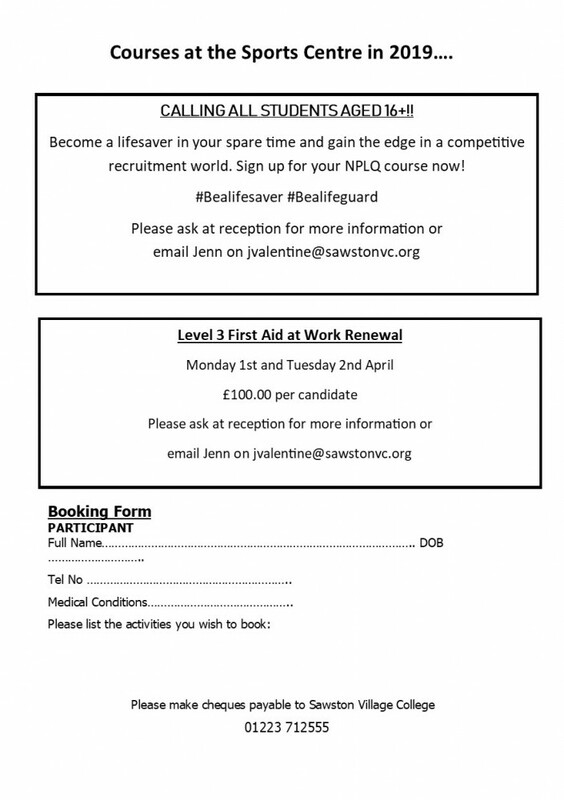 Please email mwilson@sawstonvc.org for further information or an application form. 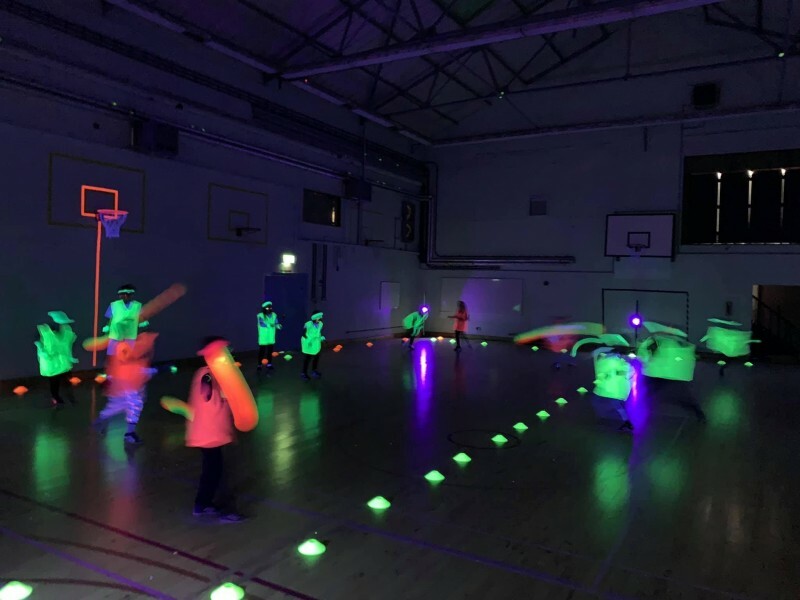 NEW PARTY OPTION NOW AVAILABLE...GLOW SPORTS!! Vouchers are available for all facilities and any cash value. You'll find them for sale at our main reception desk.